The following new resources will be of interest to our members. Produced by C21 Canada – Canadians for 21st Century Learning and Innovation – The Spiral Playbook offers a framework for system and school collaborative inquiry with learners at the centre. The CODE Consortium is committed to mobilizing knowledge about system leadership and innovation. One component of that commitment is to share articles, videos, blogs and books that inform and inspire. Please visit us often to see what members and colleagues are sharing. Link to Dr. Sharratt's Blog. Andy Hargreaves' (with Mel Ainscow) article from the Kappan entitled “The Top and Bottom of Leadership and Change” based on work in England and Ontario. Link to “The Top and Bottom of Leadership and Change”. Link to the Journal of Professional Capital and Community. The 2015 OECD Review of Scotland's Curriculum for Excellence featuring Leadership from the Middle especially in Chapters 3 and 4. Link to the OECD review. Link to Michael Fullan's Leading from the Middle article. Link to conversations with John Malloy. TED Talks playlist on inspiring leadership. Link to inspiring leadership on TED Talks. The following recent publications reference the work of the CODE Consortium and Leading from the Middle. The CODE Consortium for System Leadership and Innovation (CCSLI) represents ten Ontario district school boards with a goal of enhancing the educational experiences and outcomes for all students and staff. 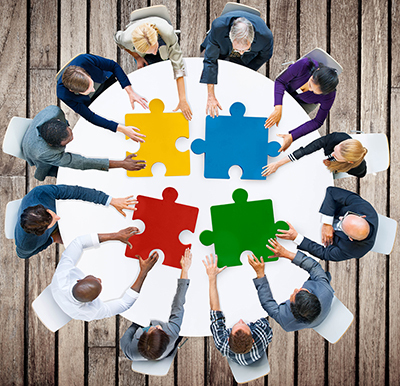 The Consortium builds connections and mobilizes knowledge among and within school boards, researchers, and the Ministry as well as partnerships at the provincial and local levels.